"Versace, Versace! Medusa head on me like I'm illuminati!" 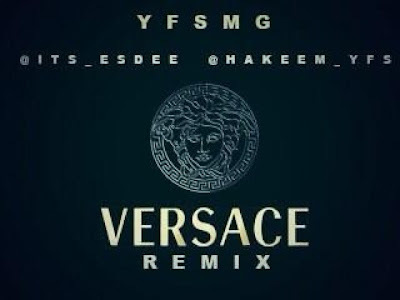 From Drake to Meek Mill all remixing Migos' track ‘Versace’, and now up and coming UK rappers - YFS have also remixed the hit song. Esdee and Hakeem joined forces to make their own remix, which they released last night. YFS will also be performing at the Davido UK Tour this September in London. Does this remix sit with Drake and Meek Mill's one? Hmm.. Decide for yourself..